The Geneva Motor Show is guaranteed to include some weird car designs, and this year is no different. Ahead of its opening to the public tomorrow, Audi has used the event to show off an updated version of the Pop.Up flying car, now called the Pop.Up Next. Airbus unveiled its concept Pop.Up, built in collaboration with Italdesign, at last year’s Geneva Auto Show. 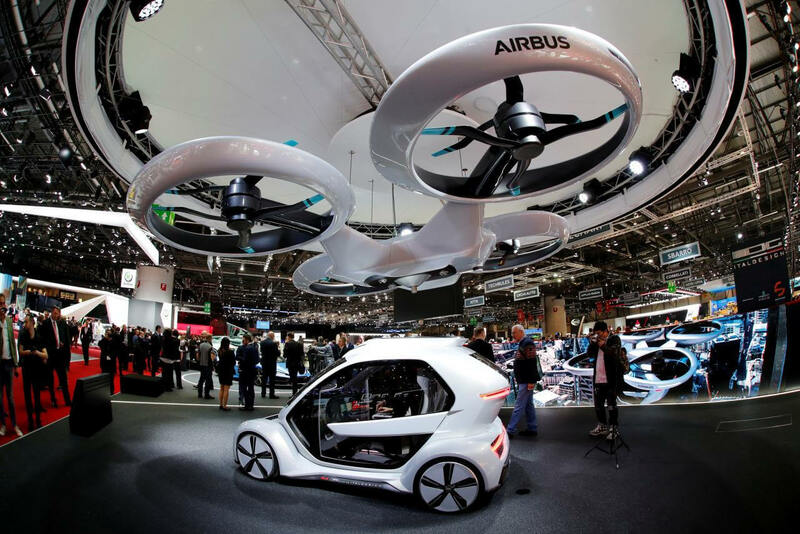 The electric vehicle is a combination of a smart car-sized “passenger capsule,” which can sit in a ground unit and operate as an autonomous car, and a massive quadcopter drone that can lift it into the air. While Airbus has been able to work on the aviation side of the things, Audi was brought on board to provide its expert knowledge on battery tech, automation, and how to transition between driving and flying. There are no physical controls inside the cab, just a curved 49-inch touchscreen that comes with speech and face recognition and eye tracking. There’s a battery in the capsule that pairs with larger versions in both the ground module and the drone section. The Pop.Up Next is still a concept, of course, so details like flight lengths and altitudes are absent. With so many questions over rules and regulations for a vehicle like this, we’re going to be waiting a very long time before it goes into production—assuming it ever does. But it still shows what might be possible in the future. Once the thing of sci-fi shows and movies, an increasing number of companies are developing flying cars, and many of them have already been successfully tested. Uber, PAL-V, Ehang, and AeroMobil, are among some of the names working toward a future where we own vehicles that can travel on both the ground and through the air.